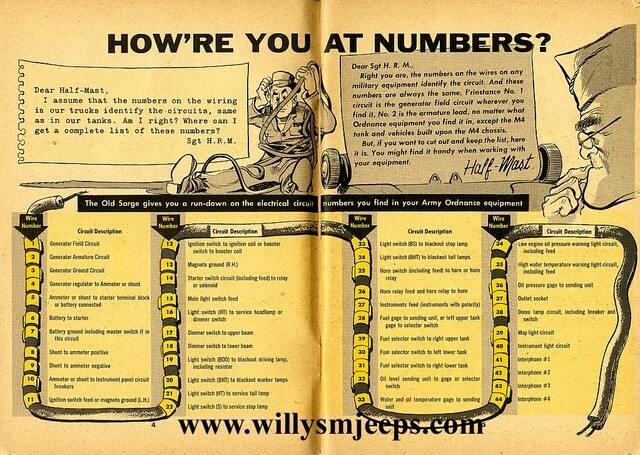 Welcome to the new willysmjeeps website! This website started out as the Yahoo M38 group and has grown to the point where more space was needed. 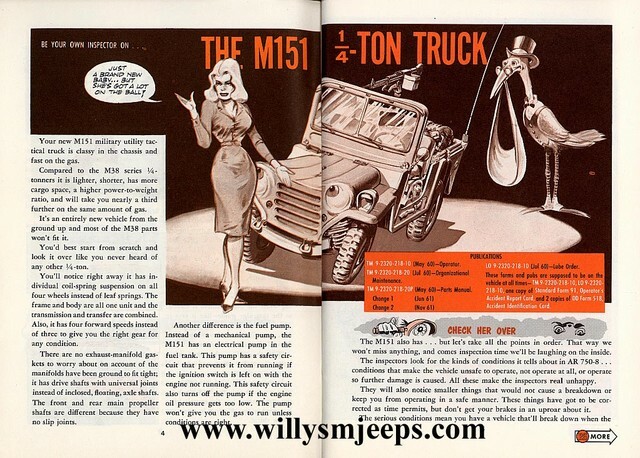 Our group is composed of a group of friends with a common interest in Willys Overland military vehicles of all types. Our goal is to share information and help others with their WO military vehicles. The information contained herein is given freely with the request that you respect the people and the many hours put forth in order to share it. THIS WEBSITE IS FREE AND WITHOUT ADVERTISING OR OTHER SPONSORSHIP. TO ACCESS THE FILES AND PHOTOS SECTIONS OF THIS WEBSITE YOU MUST FIRST REGISTER AS A USER. 1. Message board: Members are allowed to post in all message boards. Non-members can post on the "For Sale" message board only. Please remember to be respectfull to everyone when posting a message. 2. Photo Gallery: Accessable to members only. Members need to request a personal gallery in which the administrator will set up a gallery for the member to post photos. Gallery photos are accessable for displaying with message board threads. See the FAQ on how to obtain your own personal photo gallery and how to post a photo with your messages on the forums. 3. File database (listed under DOWNLOADS): Accessable to members only. 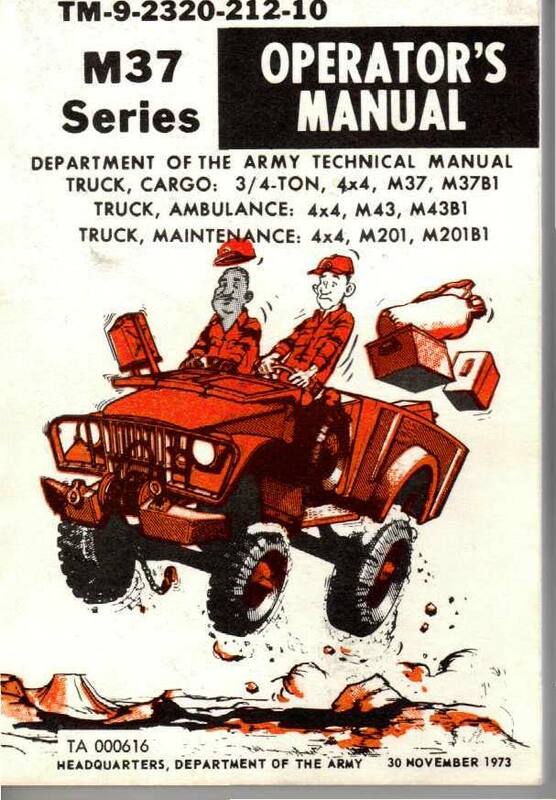 These are informative files and facts about various aspects of Willys Overland military vehicles (engine, frame, how to, troubleshooting, other information), etc. We are currently adding files as we get time so check back if you don't see the info you are looking for. If you are interested in joining our website, feel free to submit a request for membership. You only have to have a sincere interest in our groups subject (WO military vehicles) and do not have to own a vehicle to be a member. We do not share any personal information at anytime to anyone. Membership approval is a manual process and so it may take a couple of days to get processed as the administrators are running this site in their spare time. Please be sure to reply to the initial automatic email that will be sent upon your membership request. Feel free to email with any questions or concerns/comments and we will be happy to adress them as time permits. 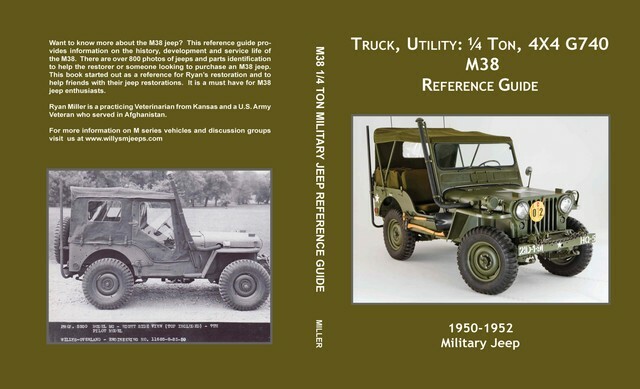 Information on the M38 jeep has been difficult to obtain until now. This book describes the history of the M38 from imediately after WWII, prototype development, factory production and through early military service life. Included are 220 pages with over 800 photos of jeeps and the correct parts for a restoration. The book describes the changes made during factory production and has detailed information on many aspects of the M38. If you are restoring, looking to buy or sell or just have an M38 and want to know more about it this book will be an invaluable tool. M151 Introduction for Army Personel. Published in 1963. These are the first several pages. The complete pamphlet and in a larger format for easier reading can be found in the download section of this website under M151. A 52 M38CDN that my son will tell his kids about. As a lineman for Atlantic Canada I beat many miles of road, always looking for treasures in someones field. Late, headed for the office, Being bad ( driving while talking on the phone) I drove past the road for the highway. "oh well, guess I can pick up the highway in Salsbury". Only one problem, the other two trucks followed me. As I was slowing for an intersection, it caught the corner of my eye. "Hmmm, a Jeep,, ah likely and old CJ5,, what do I want that for,, carry on". Got to the highway and couldn't stand it, I had to look. Back I went, "holy crap,a flat fender" price was on the windshield, a fair one but more than I was interested in spending, but for that year was it ever in good shape. Faded red, two spots where someone decided to hide a dent with filler, a patch on the floor under it the dummy didn't fix the hat channel, but that's it for body work. Mechanicly,, it's all there, except for the winch. Photos and identification information provided by Jim Kelley and Keith Buckley, edited by Ryan Miller. Restoring my M38 brought back some memories of an old friend of mine from the Artillery school at Fort Sill, OK. In talking to him I told him I had purchased an M38 Jeep and was restoring it. He said he thought he was driving an M38 while stationed in Japan in 1953.